It’s hard to believe that little more than a decade ago Volvo had never produced a 4×4. These practical yet desirable cars just seem to fit perfectly with its image. 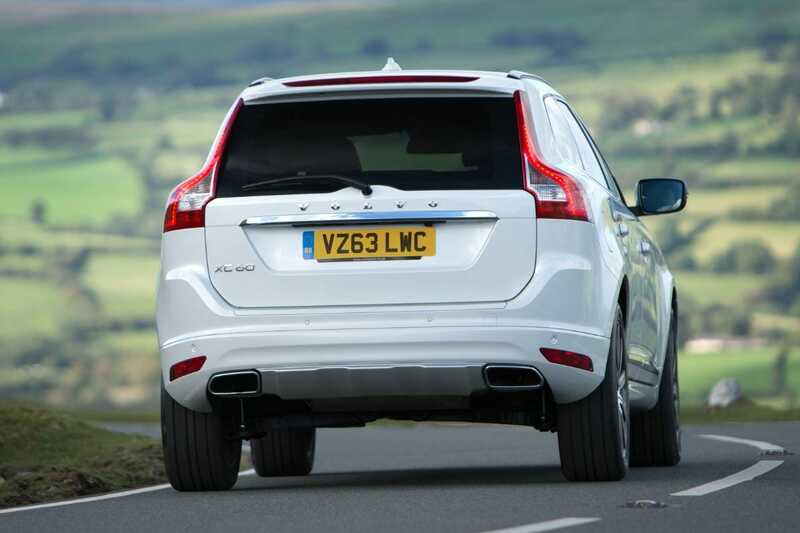 Even now, Volvo’s original effort, the XC90, remains a big seller in the UK. However, it’s this smaller XC60 that’s the better car, thanks to its classier interior, superior safety and more manageable size. There are four-wheel-drive versions of the XC60 for those who need it. 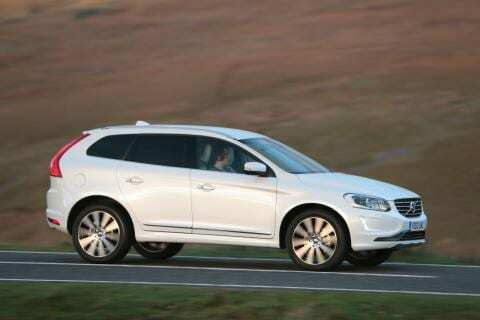 But Volvo also offers cheaper, two-wheel-drive models should you just want the look of a 4×4. There’s plenty of space for four six-footers, and a fifth person can squeeze in for shorter journeys. However, it’s not just adults who will be happy in the XC60; the rear seats are mounted higher than those in front, so even small children get a good view out. 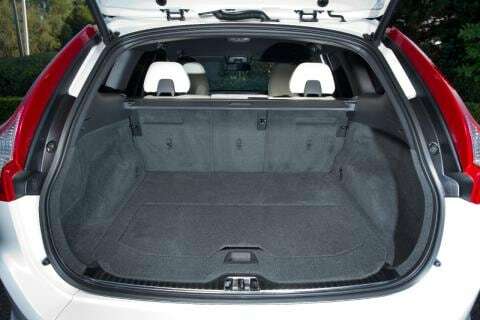 The XC60 also has a boot that swallows suitcases with ease, while a divider folds up from the floor to prevent smaller items sliding around. With the rear seats folded flat, you can transport a mountain bike, too. And there are lots of handy storage spaces in the front of the car, including a mobile phone-sized shelf at the base of the dash, and a lidded bin and cupholders between the seats. 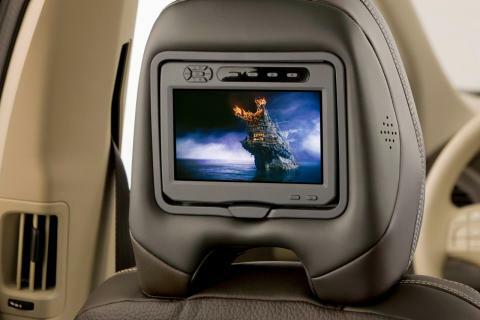 The front seats are wonderfully supportive, keeping you comfortable on the longest of journeys. Plus there is a wide range of seat and steering wheel adjustment to help drivers of different sizes find a position that suits. XC60s with standard suspension are good at soaking up bumps, too, yet they’re not so soft that they lurch around and makes the kids feel sick over undulating roads. Just make sure you avoid R-Design versions of the XC60 because these have a stiffer suspension setup that reduces comfort without significantly improving driving fun. Choosing the right engine is just as important. The D4 diesel that’s available with two-wheel-drive versions of the car is the smoothest and quietest engine in the range. On the other hand, four-wheel-drive D4s come with an older engine that transmits vibrations into the car and sounds rough when you accelerate. 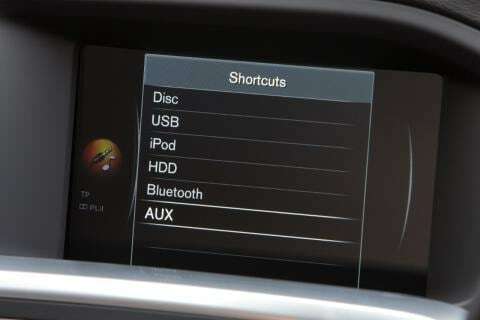 Most of the controls in the XC60 are angled towards the driver to make them easy to reach. And the human-shaped buttons that allow you to direct airflow to different parts of your body are an inspired touch. Unfortunately, the buttons and knobs for the stereo, vehicle settings and (optional) sat-nav are nowhere near as user-friendly; they’re small, confusingly arranged and rather distracting to use while driving. 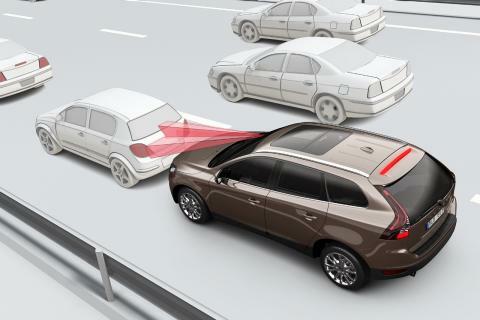 XC60 owners benefit from a raised driving position that gives a good forward view & you shouldn’t have any trouble parking, thanks to standard reversing sensors. 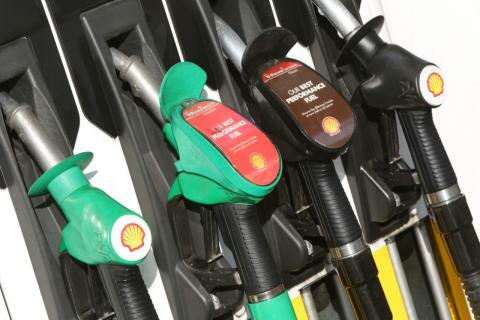 Strong engines add to the ease of driving. 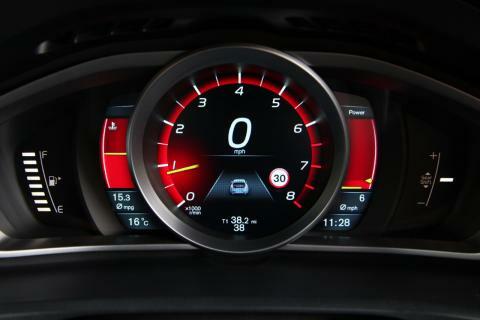 But the gearboxes let the side down a bit because the standard manual ’box has a long and vague shift action, while the optional automatic is slow to change gear and frequently chooses the wrong moment to do so. All XC60s come with a Corner Traction Control system, which helps the car change direction by braking and accelerating the appropriate wheels. 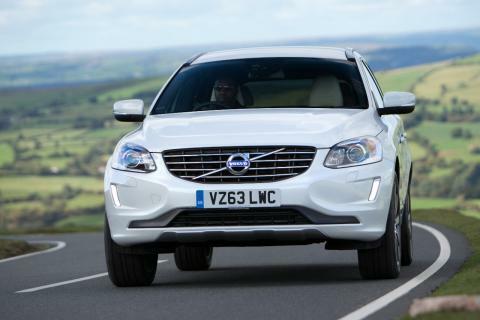 The XC60 finished 17th out of 116 cars in the 2013 JD Power customer satisfaction survey, well ahead of the Audi Q5 and BMW X3. Volvo also matches Audi in offering a warranty that lasts for three years or 60,000 miles, whichever comes first. However, BMW is slightly more generous here, covering the X3 for three years, no matter how many miles you do. 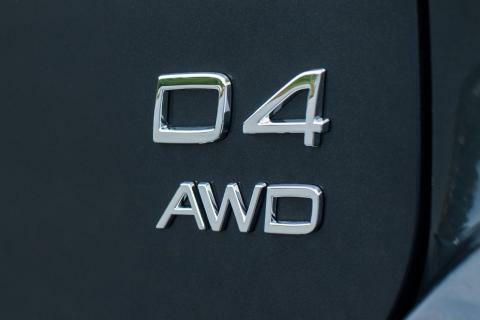 The two-wheel-drive D4 model is the most efficient version of the XC60, with an official average of 62.8mpg (or 60.1mpg with the optional automatic gearbox). That’s more than any version of the BMW X3 can manage, while the Audi Q5 and Land Rover Freelander are farther off the pace. True, four-wheel-drive diesel XC60s are less impressive, averaging low-50s in Government tests, but that still makes them more efficient than most rivals. Even in real-world driving conditions, you should expect to get high-30s mpg out of four-wheel-drive XC60s and high-40s out of two-wheel-drive versions. The XC60 costs more to buy than a Land Rover Freelander. But it’s a much bigger car, and it is priced in line with similar-sized 4x4s such as the Audi Q5 and BMW X3. Strong resale values ensure finance and leasing deals are competitive, too, while the front-wheel-drive D2 model’s comparatively low CO2 emissions keep your tax bill down. 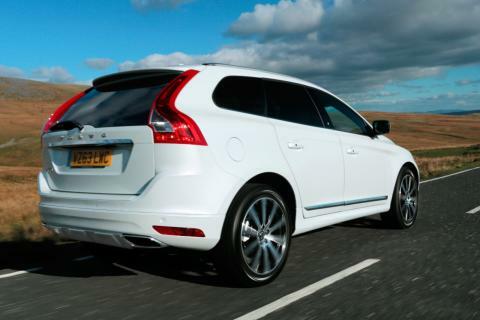 Volvo offers an attractive five-year fixed-price servicing package that makes budgeting easier. 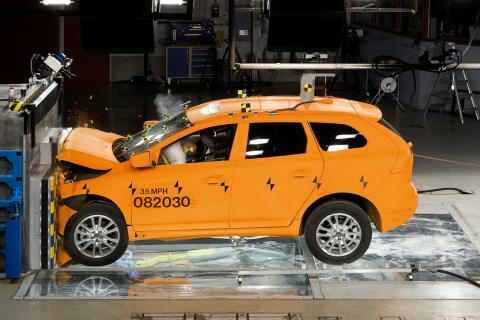 Volvo has long been synonymous with safety, so it’s hardly surprising that the XC60 earned the maximum five-star rating when it was crash tested by independent body Euro NCAP. Its score for adult occupant protection was particularly impressive, although the Audi Q5 and BMW X3 both scored slightly better for child occupant protection, while the BMW was also found to be less likely to cause injury to pedestrians. The list of standard safety features on the XC60 includes six airbags, a system that reduces the likelihood of a skid, and Volvo’s City Safety system, which stops you running into the car in front in stop-start traffic. We’d be tempted to add the optional Driver Support Pack, though, because this brings systems that warn if there’s a vehicle in your blind spot and help you stay in lane, as well as a more sophisticated version of City Safety, which recognises pedestrians and cyclists. Even the cheapest, SE specification has most things you’ll want, including climate control, rear parking sensors, a digital radio and a Bluetooth hands-free phone connection. Alternatively, if you want your XC60 to look and feel sportier there’s the R-Design spec, which adds larger wheels, more aggressively styled bumpers, front sports seats and aluminium interior trim. Volvo also offers Lux versions of both the SE and the R-design, with leather upholstery, an electrically adjustable driver’s seat and more powerful, Xenon headlights. And every XC60 is available in Nav form, which – unsurprisingly – brings satellite-navigation. 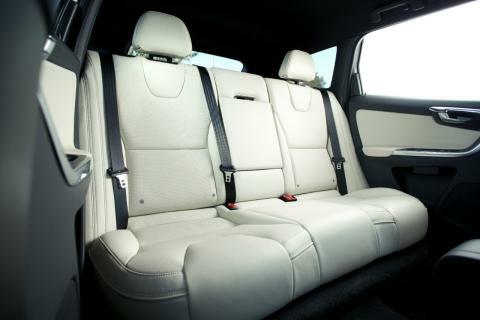 The Volvo XC60 has a spacious interior, some of the best seats around and puts great emphasis on safety and comfort – the XC60 makes an excellent family car.